Episode LXXV - I'll be back! I got to walk back into the cancer center after months of being away. Not sure if absence made the heart grow fonder... but I was back! I checked in and made my way to the blood work area. The office was crazy crowded. I was sad to see so many people waiting for blood work and to see the doctors. I was still the young one in the room. I gave a few smiling nods to the bald chemo patients, as if to say - yep, you will be looking like me soon. I had my many viles of blood drawn and I made my way towards the doctor's waiting area. There was a lot of shuffling around the center, but it had an organizational flow that works. We barely had to wait before the nurse burst open the door clucking my name... she always does that. I love it!!! Then she spent a good two minutes playing with my tiny Mohawk. I know, I am hard to resist. After a lot of jokes and general nursing station activities (BP, weight, temp, etc.) I made my way back to the waiting room. 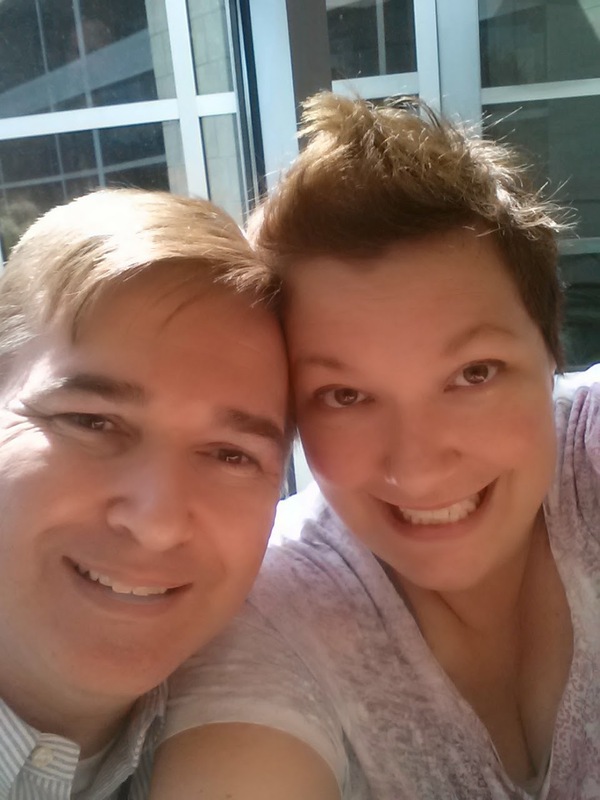 The Oncologist arrived with his larger than life personality and we got to talk about most of the things I wanted to. Of course, I forgot stuff!!! Pain. Pain. Pain. While I seem to be the only patient on Tamoxifen complaining of bone pain, he was a bit surprised. However, I know from my blog buddies that other women have it. I just think the doctors want to think we are crazy. I knew more testing was coming. I was right! Since pain was not the ideal result to live with we discussed some other options to try. First, he wanted to try to treat me for some inflammation, like arthritis, to see if that helps. So, he prescribed me some Meloxicam to help with osteoarthritis. So, I had to cut the pills and found that they broke into tiny pieces making proper dosing almost impossible. 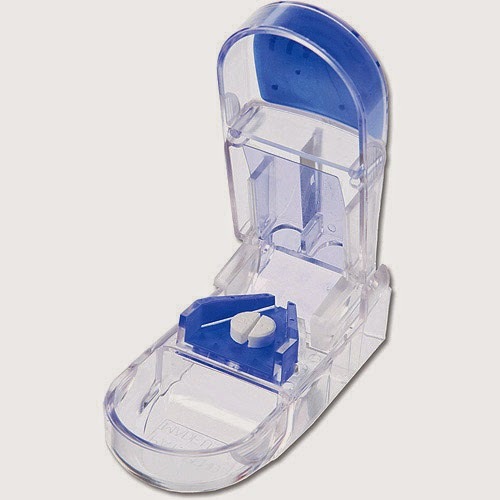 After I called and spoke with the pharmacist I purchased a pill cutter which really worked to divide the pill evenly. While I am not sure if the pain will improve, I was really hoping to at least have something to try. I also asked about using a meal supplement program (protein based) because I was forgetting to eat and I was hoping it would help me lose some of the weight I gained. He was like do what you want in that department - bonus - no one should give me free reign!!! My lack of remembering things seems to be not a big deal to my husband, as he thinks I just now have the one-track mind similar to his. I miss my multitasking mind so I asked about it. The Oncologist was not really worried except to tell me NOT to forget my medicine. That I should not skip a dose or not take it. Now I need to not forget to not forget to take my pills!?!? Seems I need to fit those tests in with my son's high school orientation and my Relay for Walk event. I am going to be tired and busy at the end of the week!!! Life is great... it keeps on moving forwards and I am able to be part of it and see some amazing things happen. Plus, it was always better to be safe than sorry... a great philosophy when it comes to testing. While we highly doubt that anything will be cancer or wrong, we have to check. So, I will go drink some barium drink and hold my breath for a few minutes - and - lay still while I get a body bone scan. And in all reality, those are tiny things to do.